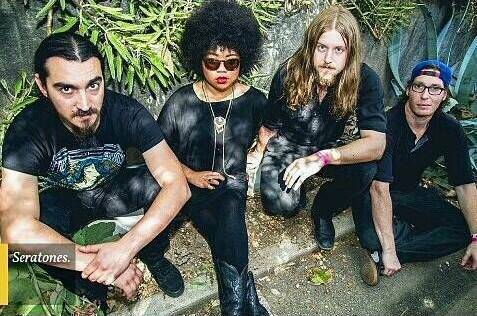 Seratones is a rocking quartet from Shreveport, La. Their debut album Get Gone features energetic, raucous garage rock -- made special by the powerful voice of lead singer/guitarist A.J. Haynes. 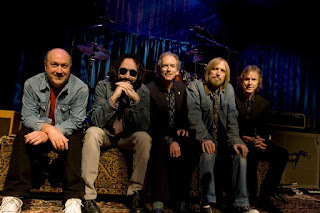 Tom Petty is back with his pre-Heartbreakers band, Mudcrutch. Petty plays bass in this outfit, with guitarists Mike Campbell and Tom Leadon, drummer Randall Marsh and Benmont Tench on keyboards. Following up a 2008 reunion album, they will release a second -- simply called 2 -- later this month. Our pick of the tracks released so far is "Beautiful World." How about a singer-songwriter-supergroup? Neko Case, k.d. lang and Laura Veirs have collaborated on an album, case/lang/veirs, and will be touring behind it this summer. We've added the lead track "Atomic Number," which weaves all three voices, to our New Music bin. And we've picked up another track from Beth Orton's forthcoming Kidsticks. Called "1973," it's a bouncy electro-pop tune but with a grown-up feel. Hello (again) to listeners in Canada! More trouble for webcasters? Stay tuned!